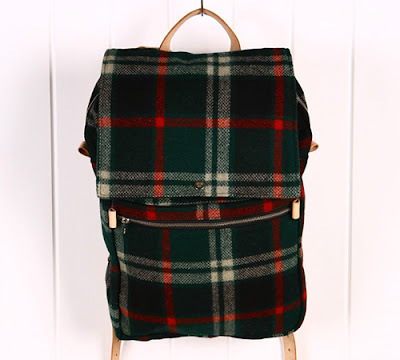 Made from Pendelton wool with natural leather straps and detailing, the 50's school pack is a great carryalong for winter. Quality materials and crafstmanship come together in this quality bag by Great River Canoe Pack Co. The bag retails for around $325 USD at Oi Polloi.